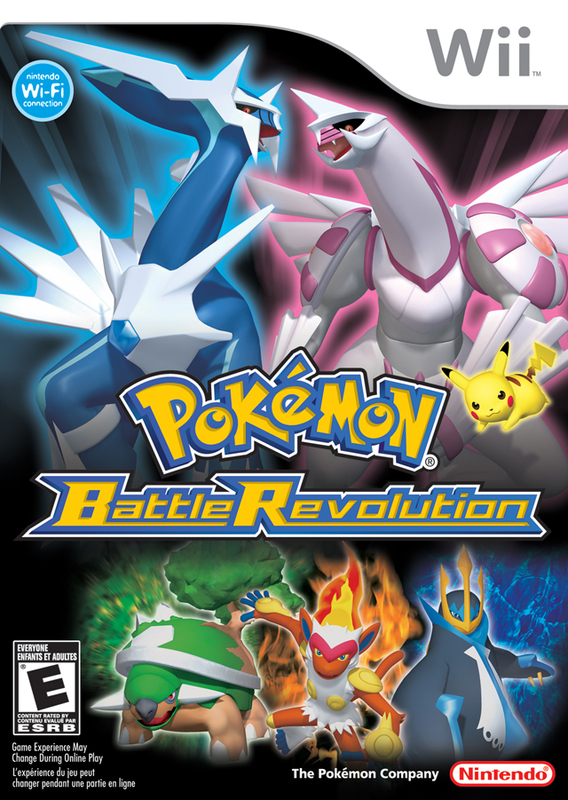 Having done a little bit of reading on Pokémon Battle Revolution before playing it, I tempered my expectations. 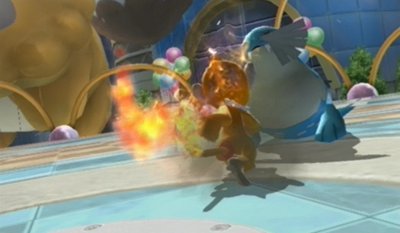 Its predecessors, specifically on the GameCube, featured drastic changes to the Pokémon formula, while still maintaining the foundations of what a Pokémon game was. And, Genius Sonority was successful in creating full-fledged console Pokémon games after many years of fans wanting them. This game had none of that ambition. Or at least, none of their ambition went towards a single-player component, which was all I was interested in. Because of this, and because I was such a latecomer, I found the game to be very disappointing. 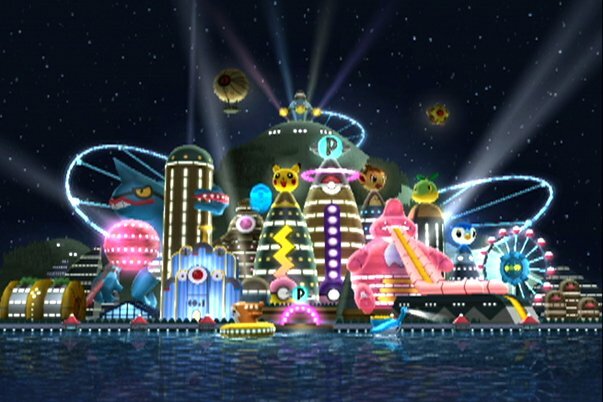 The setting for this game was Poketopia, a theme park of sorts. Instead of a full-fledged story, this game features a set of colosseums. These pit the player against a barrage of opponents, battling in a style unique to the venue. Each colosseum featured a unique rule set, although many were very similar. The rule sets affected the progression structure and the battle style. Many new battle styles were introduced in this game too, or at least, introduced to me. As I felt with Colosseum and Gale of Darkness, the double battles were a high point for this game. 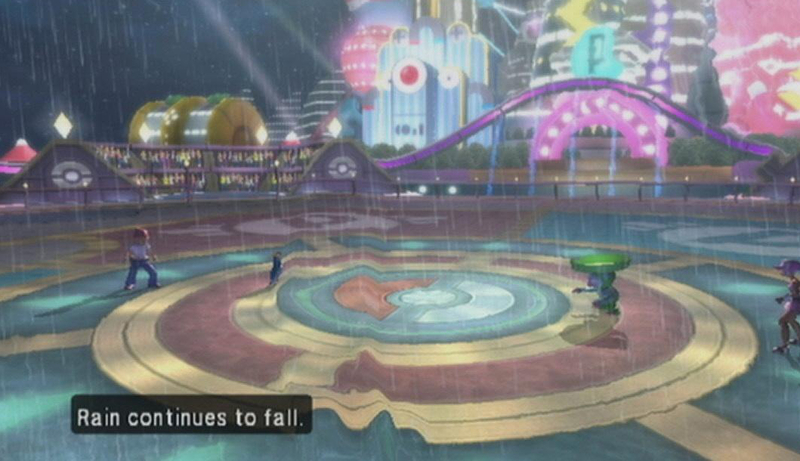 In that case, the low point would undoubtedly be the Neon Colosseum which introduced Fortune Battles. In Fortune Battles, both trainers’ parties were input onto a spinning wheel, and they chose by shooting Poké Balls at it, like darts. Until I got the timing down (I spent two of my twelve hours on this single colosseum) it was maddening. Getting stuck with my opponent’s shoddy Pokémon was difficult enough, but having to restart after making it all the way to the leader? Now that was infuriating! However, most of the colosseums were cakewalks – this was a very easy game with imported Pokémon. After overtaking the leaders of the eleven colosseums, I had my Surfing Pikachu and was content. Replaying yielded new costumes for my avatar, but that wasn’t my bag. The visuals were noticeably better compared to the GameCube games. It may have been more of a draw when the online was still… well, online. With the Nintendo Wi-Fi Connection now offline, that whole component is nonexistent. Of course, the game also features a robust local multiplayer mode, with support for all generation IV titles, but truthfully, I haven’t tried that yet. I’m looking forward to it though for two reasons. Being able to use the DS as a wireless controller is fantastic and it should allow for more cinematic battles (relegating all or most of the user interface to that system). Also, having the announcer return from his absence in the GameCube games is great! It reminds me of Pokémon Stadium on the N64; plus he’s helping learn the “correct” pronunciation of a few Pokémon! Ultimately, I think I know why the single-player component of this game was so lackluster. Its release date tells the story. It was released in North America in June 2007 – two months after Diamond/Pearl released, and about six months after the Wii did. More telling though is its Japanese release date – a mere two weeks after the Wii. For all intents and purposes, this game was launch window. I expect Genius Sonority didn’t have the luxury of a lengthy development time. For Colosseum, they probably had a year-and-a-half development time, while Gale of Darkness may have had upwards of two years. Perhaps for the first time, many of the physical moves actually saw Pokemon making contact. Also, in a potentially cramped development window, they had to develop for a new platform which featured improved visuals and fewer limitations on storage, implement compatibility with the Nintendo DS and the generation IV games, and perhaps the biggest hurdle for them was the integration of online play. This was only their fourth title, and their first to include any online functionality. Granted, they are closely affiliated with Nintendo and undoubtedly received much support, but Nintendo wasn’t so sharp in that regard at that time either (and many would say they still aren’t!). I imagine just getting the game out was an accomplishment in itself, but as it is, it’s an entirely skippable release, unless you’re like me and NEED THAT SURFING PIKACHU!!! When it comes to Pokemon coliseum games, I’ve only played the N64 one. It’s been a long time since I’ve played it, but I remember enjoying it. It brings back childhood memories whenever I play it. Great times solo and with my sister. I remember being so excited that I got to battle Pokemon in 3D. That was the tops. It’s still a big selling point for the Wii and GameCube games too. I’m curious if they’ll do something for the Wii U, as the 3DS games are very advanced, graphically speaking. If they think it sells, they’ll make it. It couldn’t hurt to have another Pokémon game on the Wii U either, they sell well enough and that’s what Nintendo needs on the Wii U. You know big companies, it’s all about money with them. I agree that a Pokemon game for the Wii U would be awesome.